MOVING FROM OIL AND GAS COUNTRY to the orchards of the Okanagan Valley was an interesting switch for Jennifer Little, and one that the Earth and Environmental Sciences (EESC) student has embraced. After three years at UBC Okanagan, she’s has found her calling. 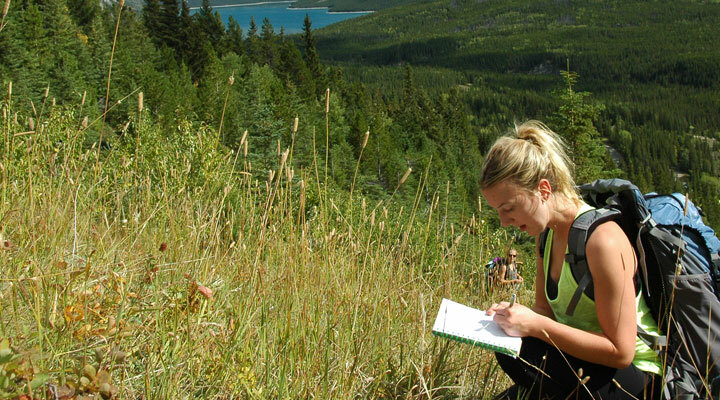 Why Earth and Environmental Sciences? “I recognize that oil and gas is a fundamental part of our economy and lifestyle today, but I’m also interested in renewable energy,” she says. The Albertan decided to leave her roots and move to UBC’s Okanagan campus one year after graduating from high school. The adventurer stayed in residence the first year, which facilitated friendships with fellow university initiates. “I didn’t know anyone when I arrived, but it was extremely easy to make friends, thanks to the welcoming environment.” She’s currently living off campus with two friends she made while living in residence her first year. Little feels that the close-knit community of UBC Okanagan will help to sustain these connections and open new ones with professors and mentors. Little has been able to meet the professors’ expectations and the challenge of post-secondary school—but not without effort. She struggled with a calculus course and relied on tutorials and study groups to see her through. Participation with the Earth and Environmental Sciences Course Union has also been helpful. The organization—open to all EESC students—organizes social, educational, and networking events culminating in an annual camping retreat. Little has enjoyed the union so much that she got involved with their leadership, helping to plan events. Little hopes to add a blood drive event to the union’s agenda. In honour of her brother who had cancer, she is an advocate of the Canadian Blood Services OneMatch Stem Cell and Marrow Network. Little continues to explore new boundaries and has not yet decided where she will ultimately settle. Recently, she attended a mountain hazards field course hosted by Geography prof Fes de Scally in the Rocky Mountains, which are just a short drive from the Okanagan Valley. 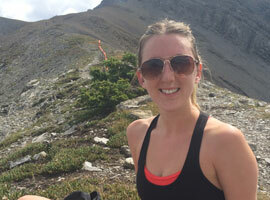 Along with 30 other UBC Okanagan students, she learned about debris flow and avalanche paths. However, Little is still the divergent one. “With every class I take, I feel I know more about myself and my interests, and what I could see doing in the future. But I haven’t decided on a path.